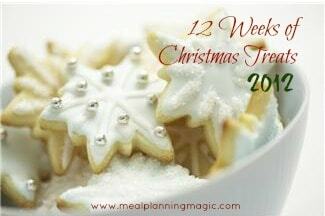 12 Weeks of Christmas Treats is Almost Here! 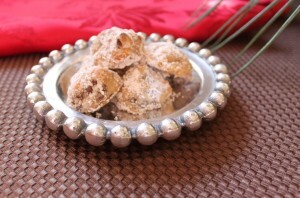 These cinnamon chocolate balls were one of the treats I baked last year! Can you believe that the 12 Weeks of Christmas Treats is less than a week away? Yes, that’s right, starting on Thursday, September 27th, I, along with over 40 other bloggers (and more joining weekly!) will be baking and cooking up some great ideas for the next 12 Weeks leading up to Christmas. Just like last year, we’ll be sharing ideas to get you ready for the holidays. But the twist this year is that not only will we be baking cookies, other treats like candy, food gifts, and other sweets will be included (some might also be a mix of sweet & savory). Basically anything you might have out on a holiday table for munching on or serving at your holiday parties! –Each week, on Thursdays starting September 27th, make a different Christmas treat and blog about it. It can be a cookie or perhaps something (like spiced nuts) that you might serve at a holiday gathering. –Link up each week using the link code I’ll provide. –Link back to my blog and use the Blog Hop graphic I’ll provide. –Interested but not sure you can commit to ALL 12 Weeks? That’s ok. Go ahead and fill out the form anyway so you’re in the loop on the weeks you CAN participate! Oh and don’t forget to have fun too! At the end, you’ll be able to breathe easy knowing you’ll be prepared for all those parties, cookie exchanges and hostess gifts you’ll need treats for throughout the holiday season. Bake along with us! Hopefully you’ll find some inspiration to get some baking done early and in the freezer. And I’ve set up a 12 Weeks of Christmas Treats Pinterest board just for many of the treats you’ll find on the hop so get ready to pin away and start keeping track of all the great recipes we’ll be sharing!